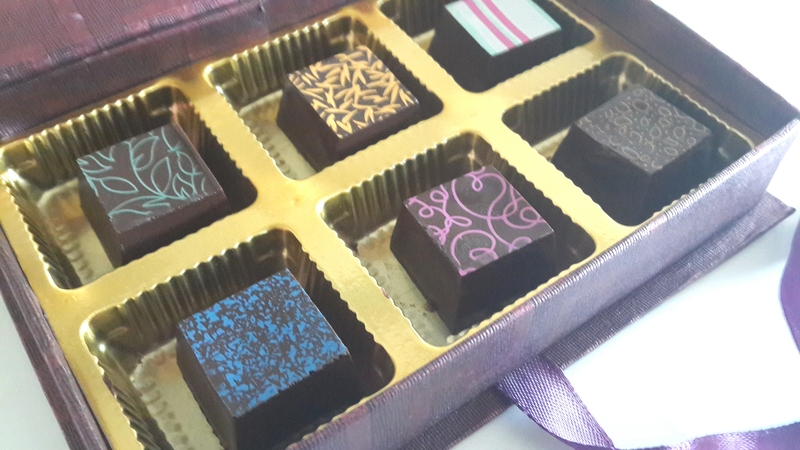 When you get a box full of chocolates from a very talented and famous chocolatier, you know you are in for a treat. And treat I got when I received the delicious chocolates from Varun Inamdar from The Chocolate Factory. Varun, who is a post graduate from the Oberoi Centre of Learning and Development, started his venture The Chocolate Factory. His love for chocolates is not only confined till confections, he is probably the only chef in India, who has combined chocolates in everyday cooking. Apart from writing for international magazines, his clientele consists of well known and I mean literally well known personalities like the Ambani Family, Barack Obama, Al Sabah and Sachin Tendulkar. The box consists of six each different flavor chocolate. The first thing that impressed me was it wasn’t wrapped in a foil paper. I hate it when people wrap the chocolates. I feel chocolate is a very high ranking ingredient. When presented in an elegant way, it can do wonders. Covering the chocolates not only kills their beauty, but the excitement when you are presented some beautiful looking chocolates and the decision that you have to make which one to eat, is so exciting. 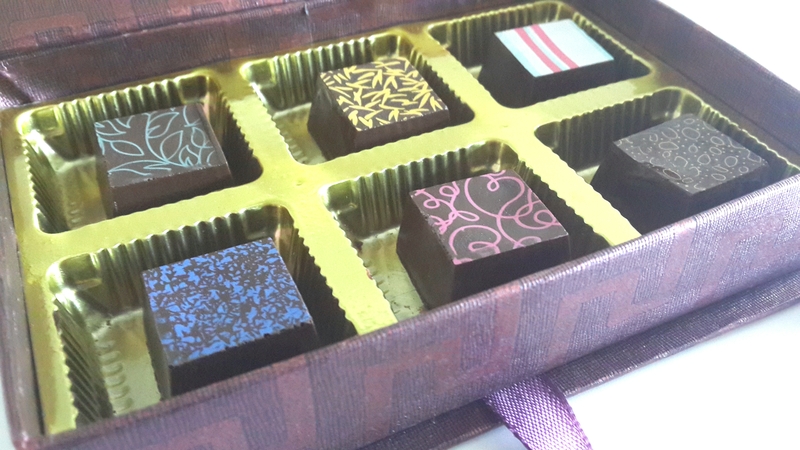 This box had that thing, you can easily see the artisan chocolates and get totally confused in which one to start with. The first one was Guntur Chilly, first bite of this chocolate and you will instantly feel the heat. But the heat is not overpowering and it does not feel like you are eating something spicy. I love how Varun has balanced the perfect quantity of heat in this one. Its just perfect. The winner in this box is the Thandai Chocolate. This one has two of my favorite items chocolate and Thandai. Filled with a Thandai filling and covered with chocolate, it is just super delicious. Then we shift to Madras Kapi, where again I would like to say it has the perfect amount of coffee. Coffee lovers are going to love this. It is a perfect blend and you obviously cant go wrong with coffee and chocolate. The Peanut Butter is also my favorite, filling consists of peanut butter and chocolate is just plain yummy. The Kashmiri Gulkand again has that right amount of flavor and perfect for the Pan lovers. 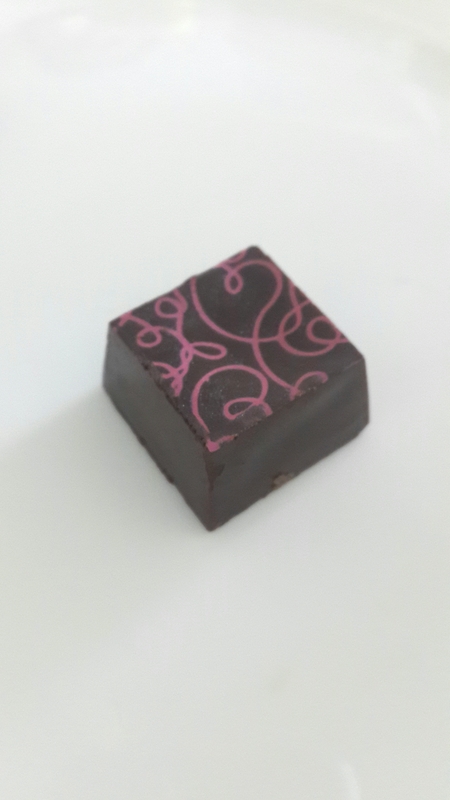 Lastly, the classic Praline Noir also is what is supposed to be, classic and delightful. I absolutely love how they have incorporated the Indian flavors with the chocolates. 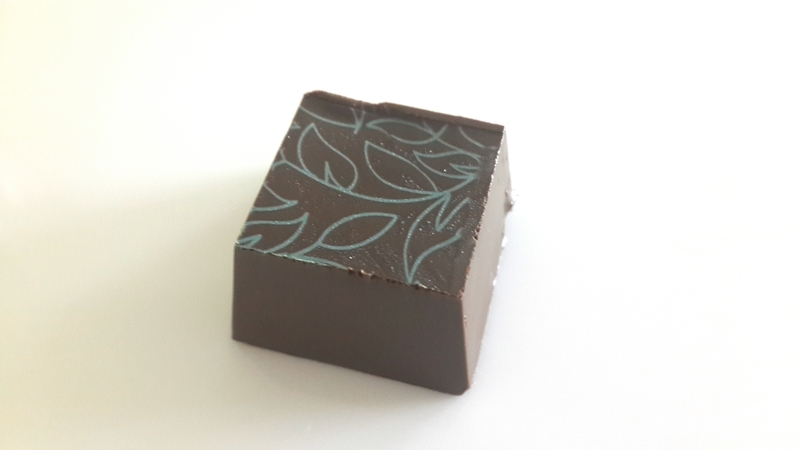 The chocolates are not only just delicious but also have the earthy feel to it. Priced wonderfully at Rs 180 for a box of 6, Rs 360 for 12, Rs 540 for 18, Rs 720 for 24 and 2 boxes of 24 (1 kg) for 1200. It is totally worth it. 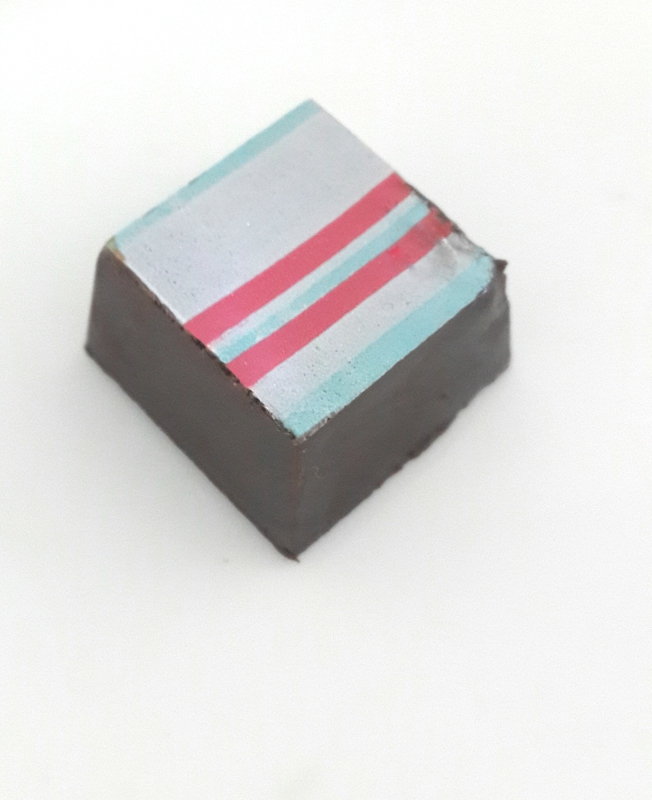 I feel artisan chocolates is how the chocolates should be and The Chocolate Factory is damn good at what it does. Lovely! I adore beautiful little chocolates like these.